Senior SEO Analyst Tracy LeGault had used PED towards web classes before, but in 2016 she chose to attend the Nielsen Norman Group UX Conference in San Francisco. "Web UX and SEO go hand-in-hand, so I wanted to gain a full training experience directly from people who have been user testing since the mid-90s," said Tracy. "Not only did a I learn a lot about how to structure websites and build persuasive web pages, but I learned just how important user testing is to successful designs. I&apos;m super passionate now about adhering to what&apos;s well-tested and want to learn how to conduct UX testing myself," she added. Each day of the seven-day conference focused on various topics. Tracy attended for three days, choosing classes on Information Structure, Navigation Design, and Persuasive Web Design. Tracy works with Structure and Navigation Design as part of our web design process, specifically site mapping. She wanted to see what other tools might be available to lay out the site map and to learn more about the research aspect. She felt the third topic, Persuasive Web Design, helped with individual web pages. The question was asked: Is your site trustworthy to a user? Point being, trustworthiness will help designers and developers reach user goals later. "You may want unique," said Tracy about site design, "... but many users want your website to function like all the others they are used to." This "comfort factor" or familiarity equates to user-friendliness, it seems, and fits with the fact that many users have short attention spans, she learned. It&apos;s easy for them to go elsewhere to get the information they need if they don&apos;t get it the way they want as quickly as they want it on your site. A key theme she pulled from the conference is that users will probably not behave the way you think they will. "It&apos;s very easy to think users will behave the way you would on a website (or any application) but they don&apos;t have the same experience and will often do something that may feel inexplicable," said Tracy. "Something as simple as not providing a "home" link can really throw off the web user." Tracy felt the conference sessions clearly demonstrated the importance of user testing in uncovering pain points and confusion. "Testing is what allows you to constantly improve user satisfaction on your website or application," she said. "Never assume your interface is perfectly clear and easy to use," Tracy learned. "Engage in direct user testing so you can understand their thought process." Overall, Tracy felt the conference was a good opportunity to learn new details and validate current processes. The classes inspired in her the idea to possibly partner with testers to get more feedback and varied perspectives, while the event cocktail hour added an opportunity for further networking. Outside of the conference sessions, Tracy was able to experience San Francisco, a city she&apos;d never visited before. "I was on the 19th floor so I loved my city view and watching the fog in the morning," she said. She took a shuttle from the airport to the hotel and not only found the driver friendly, but also chatted with her fellow passengers, many from Australia and New Zealand. 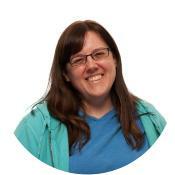 Tracy is working on UX certification with a web design specialty. PED helps her take classes and covered travel and hotel expenses for this conference. 1. Users will probably not behave the way you think they will. 2. Never assume your interface is perfectly clear and easy to use. 3. Engage in direct user testing so you can understand their thought process.